The bonfire gets started on the East Field during Alumni Weekend 2015. 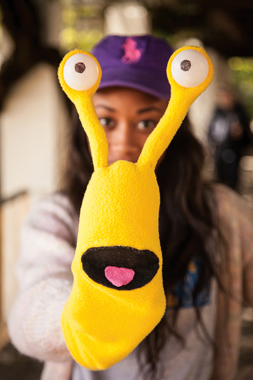 A large Sammy the Slug balloon sculpture delighted the crowd. 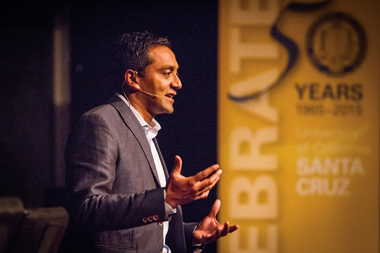 Keynote speaker M. Sanjayan (Ph.D. biology, '97), host of the new groundbreaking PBS nature series EARTH A New Wild, wowed a capacity crowd. 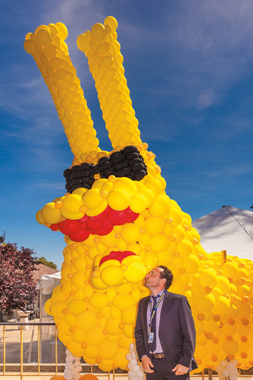 Alumni Weekend in April celebrated and honored UC Santa Cruz's 50th anniversary in fittingly grand style. 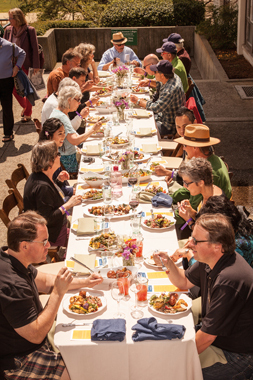 A record-breaking crowd of thousands enjoyed a farm-style lunch al fresco overlooking Monterey Bay, tours and scavenger hunts, musical performances, reunions, presentations, alumni wines and beers, and each other's company. The weekend included TEDx Santa Cruz; a keynote by M. Sanjayan (Ph.D. biology, '97), host of the groundbreaking new PBS nature series EARTH A New Wild; lectures by legendary professors Bettina Aptheker and Craig Haney; alumni panels; and more. 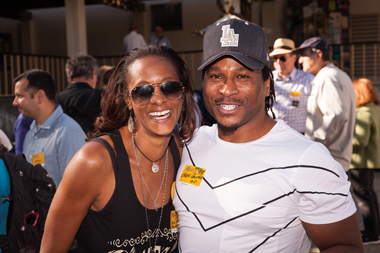 Visit the Alumni Weekend 2015 website for an event recap and more photos. 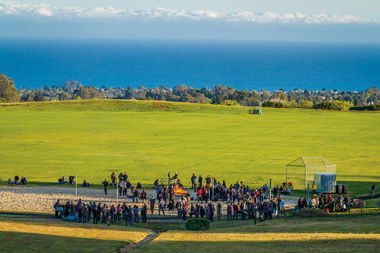 And mark your calendars to help UC Santa Cruz start out its next 50 years with a bang at Alumni Weekend 2016—April 29–May 1.